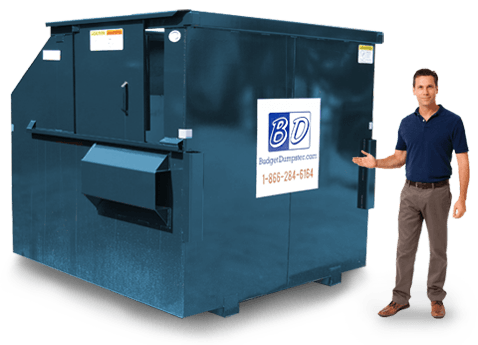 If you are a new business owner looking for a commercial dumpster service you are in the right place. 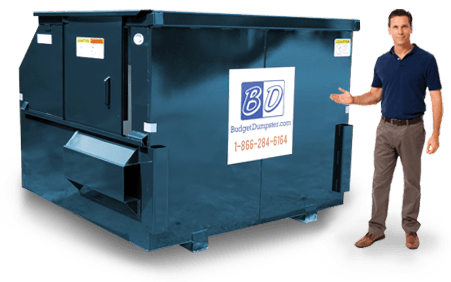 Budget Dumpster can be your source for your commercial waste disposal. As a new business owner in Albany you may not be aware of how waste removal works. Each unit we offer has a one year contract for a scheduled waste removal service. The size of your business and the volume of waste you will accumulate will determine the size of the dumpster you will need. We offer a range of commercial dumpster sizes starting at 2 cubic yards and going all the way up to 8 cubic yards. Don't worry if you are unsure of which size to rent. Our customer service representatives will gladly help you with choosing the perfect size for your business. 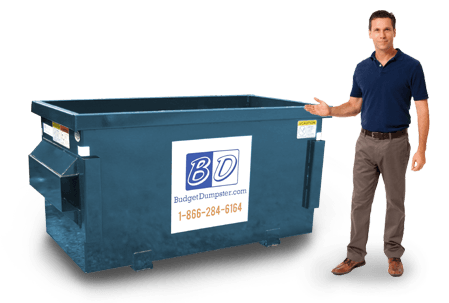 When you call Budget Dumpster, you will be greeted by one of our friendly customer service representatives. They take pride in being the best customer service team in the commercial dumpster service. Whether you are a new business owner looking for a rental service or an existing owner looking for a new rental service, they treat every customer the same. Our team knows the best waste solutions for any company and they will be able to set up any size dumpster for you. All you have to do is tell them what type of business you manage. It is as simple as that. And don't worry about any extra fees. We're not like the other guys who charge you for disposal and environmental fees. You're guaranteed a flat rate every time. The smallest unit we offer is a 2 yard commercial dumpster. These are great for small businesses such as restaurants and boutiques. The small footprint leaves plenty of room for placement. Sometimes placing a dumpster can be a hassle. Not with this 2 yarder. Do not think this size dumpster is incapable of holding a lot of trash. It can hold between 600-800 lbs. of waste which is equivalent to a one ton pickup truck. 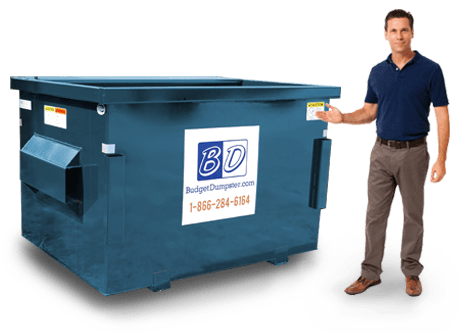 This is the perfect dumpster for business with less than 2,500 square feet and roughly 25 employees. It is only 3 feet high making it easy to dispose waste. For a manager who has a small restaurant or office, this is the best space-saving and wallet-sparing option. The 4 yard dumpster is great for small-medium businesses that have around 125 employees. It's most commonly used by retailers and medium-sized restaurants. These businesses usually accumulate a consistent amount of waste. The 4 yarder can hold between 800-1000 lbs. of waste which is equivalent to two pickup trucks worth. If you are a restaurant or office it can also handle occasional bulky materials such as wood pallets and office chairs. It is only one size up from the 2 yarder which means there is still a variety of placement options. It's not too big and it's not too small. If you have a medium size business you'll want to rent this dumpster. The 6 yard commercial dumpster is our second largest unit. So you should put some consideration into where you are going to place it. It can hold between 1200 to 1400 lbs. of waste. Even though this is a bigger dumpster it is still easily accessible. The sliding door feature makes disposing those heavy trash bags a little bit easier. This 6 yarder is most commonly used for large office buildings, hotels and grocery stores. It is also perfect for apartment complexes. It can handle those occasional bulky items you will throw away on move in or move out day. Our 8 yard commercial dumpster is known as the "big daddy" and is the biggest unit we offer. This massive dumpster can hold up to 1600 lbs. It is an ideal size for shopping centers and large warehouses. Large companies typically have large volumes of trash on a weekly basis. This dumpster can handle that amount of waste. It is equipped with a sliding door making it easily accessible when you are disposing those heavy bags. This 8 yard is handy for the occasional bulky material you will produce at a grocery store or warehouse. If you manage a large company you'll want to rent this dumpster for your waste removal needs.